Size 2 , 4 is frameless (unstretched), no wooden frame, easy to frame by yourself. Sizes 1, Size 3, Size 5 is framed,stretched, ready to hang. For all 5 Panels canvas prints have 5 size : Size1:12x16inchx2,12x24inchx2,12x32inchx1 Frame Size2:12x16inchx2,12x24inchx2,12x32inchx1 Frameless ,no wood frame inside. Size3:16x24inchx2,16x32inchx2,16x40inchx1 Frame Size4:16x24inchx2,16x32inchx2,16x40inchx1 Frameless ,no wood frame inside. Size 5:8x12inchx2,8x16inchx2,8x20inchx1 Frame Feature: More than 20,000 kinds of wall art to Meet your needs in my shop. Wall Decor: Perfect choice for wall decor such as living room, bedroom, guest room, bathroom. Perfect Gift Idea: For wedding, anniversary, thanksgiving, christmas, mother's Day, father's Day, valentine, birthday...... Note: We do our best to provide an accurate description and realistic pictures. Once there is any problem, please contact me directly,We will try our best to help you. 100% cotton oil painting fabric canvas prints; Not cheap polyester fabric product. Frameless, unstretched ,no wood frame, canvas prints roll in tube, easy to frame. Buy 1 get 1 free frameless prints in size 12x20inch or 20x28inch. Can custom any size or frame artwork for you. Feature: More than 20,000 kinds of wall art to Meet your needs in my shop. Note: Once there is any problem, please contact me directly,We will try our best to help you. 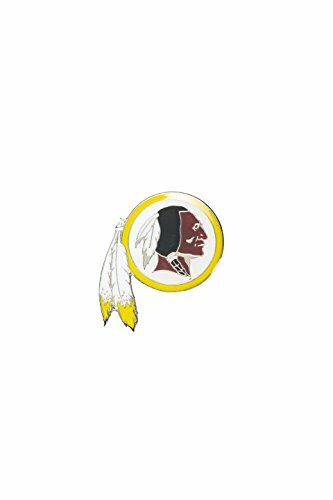 Show off your team pride with this NFL Logo Pin by Aminco. Each circle shaped lapel features team colored logo and team wordmark. NFL officially licensed and collectible item.